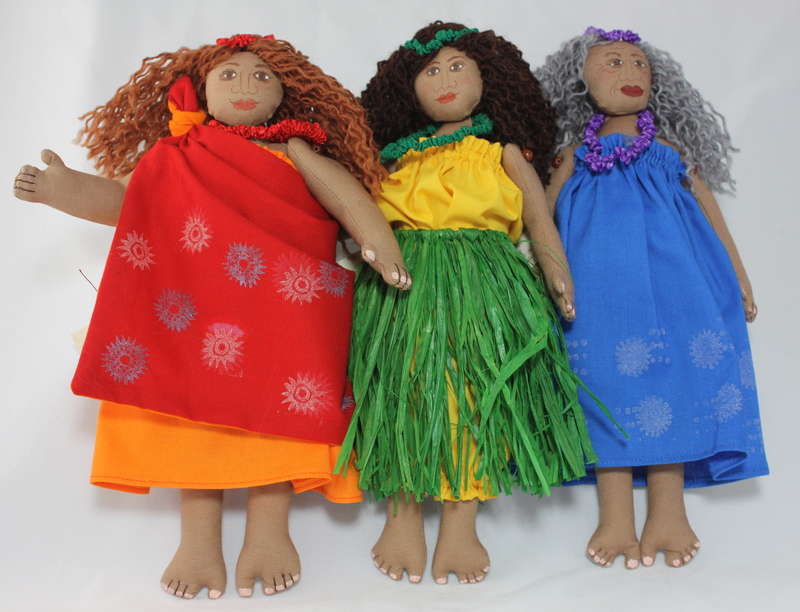 This doll brings you aloha and carries the warmth of Big Island charm. She is decked in handcrafted leis and her dress is decorated with Hawaiian motifs, created from hand-carved stamps. Her face is individually drawn and painted, giving her a unique personality.